Whether you call Nantucket home, or are visiting us for the first or for the one-hundredth time, the moment you step ashore you immediately sense Nantucket’s rich cultural heritage. Long renowned for its historic significance and natural beauty, Nantucket has a burgeoning cultural community that lasts well beyond the summer weather. Visitors from around the world come to visit Nantucket each year, all throughout the year, to participate in the distinctive opportunities our community offers—many that visitors can’t experience anywhere else in the world. Several of the island’s cultural leaders have said anecdotally for years that arts and culture are a vital part of Nantucket’s year-round economy. Although we could sense that to be true, what didn’t exist until now was a mechanism to demonstrate and highlight the collective data to show evidence of just that: cultural events are an economic engine here. After more than two years of work from leaders in various non-profit organizations, town government, and businesses, the Massachusetts Cultural Council approved the cultural district designation for Nantucket in January of 2016. A cultural district is an official designation by the Commonwealth of Massachusetts to highlight concentrated areas of activities in the arts, humanities, and sciences. A dedicated group of individuals led the charge to have Nantucket become a designated district including myself, William Ferrall of the Nantucket Arts Council, Cecil Jensen of the Artists’ Association of Nantucket, Virna Gonzalez of ReMain Nantucket, Kate Hamilton formerly with the Town of Nantucket, and leaders of the Nantucket Historical Association, Nantucket Atheneum, Nantucket Community Music Center, Nantucket Lightship Basket Museum, Nantucket Preservation Trust, Maria Mitchell Association, First Congregational Church, the Chamber of Commerce, and the Downtown Business Association. Together, we will work to demonstrate the ways in which our cultural opportunities enrich the lives of islanders and strengthen our local economy, not only in our peak summer season, but all throughout the year. These groups will work together to collect data; increase resident and visitor participation in cultural experiences; and fortify relationships between government, business, and nonprofit entities. All of this will, we believe, work to boost Nantucket’s year-round economy. The cultural district is easily walkable and includes most of the island’s primary historic downtown core. As you move through the district, you will discover a wonderful blend of Nantucket’s leading cultural institutions, municipal offices, and major public and private buildings, as well as many historic sites, and interesting surrounding neighborhoods. Many live performances, concerts, lectures, and both permanent and temporary arts and cultural exhibits take place both seasonally and year-round within the district. Theatre Workshop of Nantucket, White Heron Theatre Company, and Nantucket Dreamland Film and Performing Arts Center annually present dozens of staged plays and musicals throughout the year. Multiple-day festivals feature films, comedy, and literature, during Nantucket Film Festival, Nantucket Comedy Festival, and Nantucket Book Festival. The Maritime Festival sponsored by the Egan Maritime Institute, a community celebration of our rich maritime history, takes place in the fall. Exhibits of the visual arts happen weekly in season and occasionally throughout the year at Artists Association of Nantucket, Nantucket Historic Association, and at a dozen or more permanent and temporary private art galleries. Live musical concerts are presented both seasonally and year-round by Nantucket Community Music School, Nantucket Musical Arts Society, Nantucket Arts Council, and others. Lectures and workshops on arts, culture, history, and science take place year-round at Nantucket Atheneum, Nantucket Historical Association, Maria Mitchell Association, and through area religious and neighborhood organizations. Dozens of neighborhood walking tours are organized throughout the year by Nantucket Preservation Institute, Nantucket Garden Club, Nantucket Land Bank, Nantucket Historical Association, Friends of Nantucket Public Schools, and private tour operators. The designation also provides increased support from the state by way of the Massachusetts Office of Travel and Tourism and the Massachusetts Cultural Council, bringing Nantucket increased exposure and promotion of its cultural offerings on their respective websites. Hopefully, down the road, the designation also will bring increased funding support, particularly for events taking place in our quieter months. 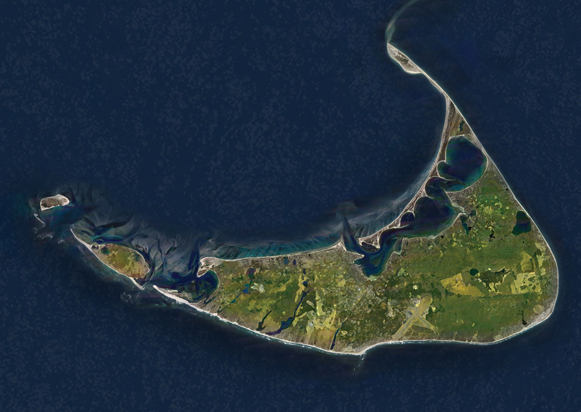 The Nantucket Cultural District is an essential element in preserving the cultural integrity of the island. For our residents, you will find greater collaboration and communication between our member organizations, as well as a continued commitment to keeping Nantucket vibrant twelve months a year. For our visitors, please enjoy a walk through the beautiful cultural district. You can pick up a map at the Nantucket Visitors Center on 25 Federal Street or at the Chamber of Commerce at Zero Main Street. You never know what treasures you may find while you enjoy a self-guided walking tour of the cultural district. Be sure to stop and visit our many businesses and partners, and enjoy all the wonders that make Nantucket a truly special place to be all year long. Melissa Murphy is formally the Director of Culture and Tourism for the Town of Nantucket.